Otto Sovereign's book was privately, and opulently, published in 1951. Bay City's amazing Sovereign brothers, William and Otto, who founded the Aladdin Company in 1906, should have gotten medals for their contribution to the U.S. effort in World War I.
Aladdin was chugging along, turning out the nation's first ready-cut homes, when the British Cunard liner Lusitania was torpedoed by a German submarine in 1915. Some 128 U.S. citizens were aboard, among the 1,198 passengers who perished. That dastardly deed enraged citizens and legislators alike, leading to America's entrance -- two years later -- in what became known as "The Great War" -- also famously, and incorrectly, called "the war to end all wars." 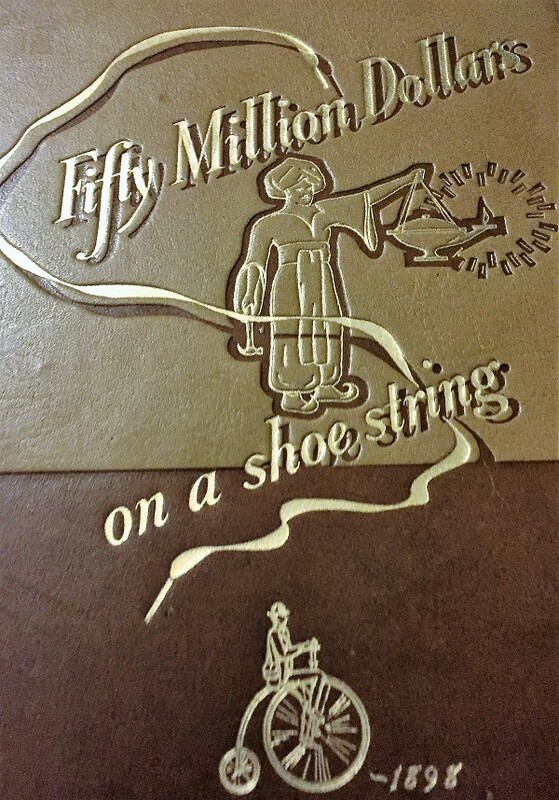 The subsequent actions that brought Aladdin into government service are described in the book "Fifty Million Dollars on a Shoestring," a rare tome available only locally from collectors, written by Otto Sovereign and printed elegantly together with a hardboard sleeve matching the wood colored cover. The chapter about this episode was entitled "Like a Message to Garcia," alluding to a highly popular essay of the time. Language experts say "to take a message to Garcia" was for years a popular American slang expression for taking initiative still used by some members of the military. The Sovereign brothers had gone to Washington, D.C., in February 1917, at the suggestion of Congressman Roy O. Woodruff, Progressive Republican of Bay City, to offer the Quartermaster General their help with the war effort. "During our first interview a hoary old draughtsman was called in with detail plans he was working on for barracks buildings. We were able to point out the utter disregard that had been given to the use of standard sizes of lumber, lengths, widths and thicknesses, wastes which affected not only materials but greatly increased labor costs." The plans covered construction details of some ninety barracks buildings average a hundred feet in length, officers' quarters, mess halls, recreation buildings, hospital, machine shops, garages, latrines, etc. Included in our job was the construction of all utilities: sewers, water systems, electric and power lines. "Looks like 'A Message to Garcia.' What do you think, Bill? asked Otto. Their first message sent from the train heading north went to Irwin Lamb, construction superintendent of the firm, back in Bay City. "Get all equipment necessary for this job ready to leave for Minnesota immediately upon our return home." All the Aladdin correspondence on the project mentioned the phrase "it is a military necessity." The first cantonment Aladdin built was a Great Lakes, Illinois, before they headed for Fort Snelling, just outside St. Paul, Minnesota. 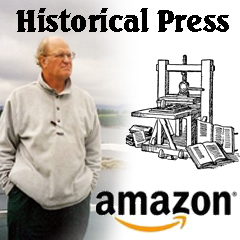 "Cars began rolling for Fort Snelling almost before Lamb arrived," the book observed. "We financed the job ourselves and completed it in twenty-six working days, three weeks before we received the formal contract, which was the first knowledge of the basis of payment." After the war, General Littell gave us cost figures, comparing ours with other cantonments. The average cost of cantonments was $250 per man; ours was $42 per man. Perhaps the favorable costs at Fort Snelling provided by Aladdin contributed to the Distinguished Service Medal Gen. Littell received after the war for his cantonment supervision. The chapter concluded with an anecdote about a federal auditor who arrived in Bay City after the war "to see how much we had stolen from the government on the Fort Snelling job. After spending several weeks he came up with a claim for $14.76 to cover the cost of one shovel and two pick axes. Our construction superintendent, Mr. Lamb, refused to approve payment because he had accounted for every item and expenditure. We rejected the claim." "Wonder what it cost the Government to carry that disputed claim in its accounting system for twenty-five years?!" Sovereign asked incredulously. These same plans for group housing seemed to have been dusted off during the 1930's when Aladdin marketed military-style housing facilities to the Civilian Conservation Corps (CCC), which was establishing military-like camps across rural America, according to the company's archives at the Clarke Historical Library, Central Michigan University, Mt. Pleasant. Another great read !. I love how you find interesting articles to write about that are directly related to Bay City. You are a master at your craft. Love it!! !